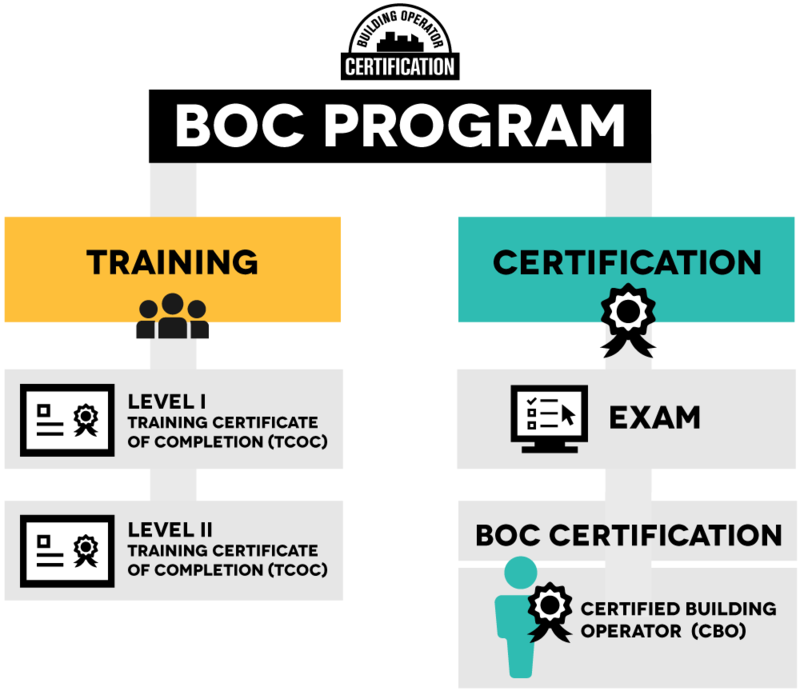 The mission of Building Operator Certification (BOC) is to elevate the profession of the building operator through training in energy efficiency and smart building technologies, continued education, and certification. This skilled workforce provides energy and resource savings to building owners and organizations. BOC is a competency-based training and certification program for building operators. We teach participants how to make a building more comfortable and efficient by making its systems work better together. BOC is a program of the Northwest Energy Efficiency Council. Meet our faculty or apply to become a BOC instructor or Course Manager. We partner with many organizations to offer BOC training. Find out how you can partner with us. While most building operators attend BOC training offered through our network of BOC administrators, you can learn the skills the BOC teaches while attending classes conducted by our approved providers. Learn about the National BOC Advisory Commission and our sponsors.